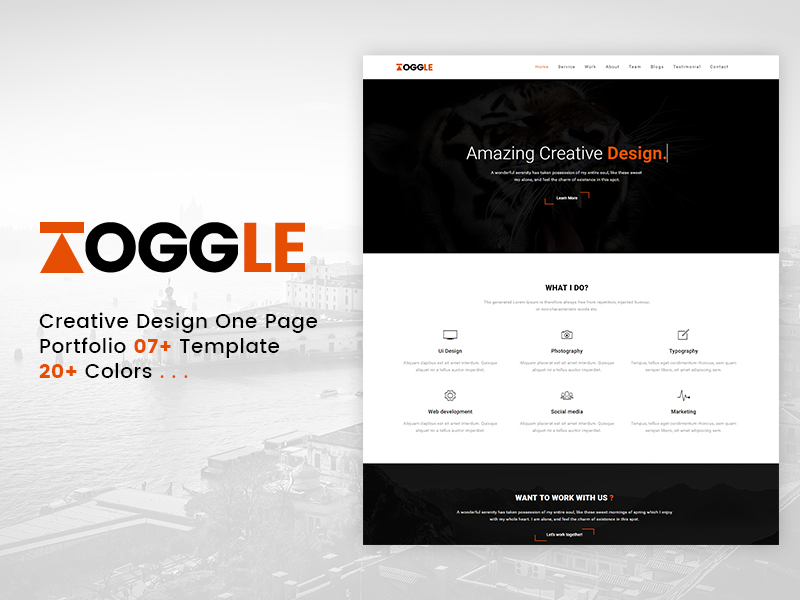 Toggle is a clean and high quality creative HTML5 portfolio one page template. Build with latest Bootstrap v3.3.7. You can easily present your ideas with perfect stylish. well commented HTML and CSS code for user-friendly. Fully responsive and compatible with all latest browser.